The Writing Center provides tutoring and writing consultation to all undergraduate and graduate students enrolled in the College. Trained tutors work with students on conceptual and sentence level skills, rules of grammar and style. The Center emphasizes formulating a thesis, organizing and developing ideas, documenting American Psychological Association (APA) style, evaluating evidence and revising a paper, and writing specific to the disciplines. 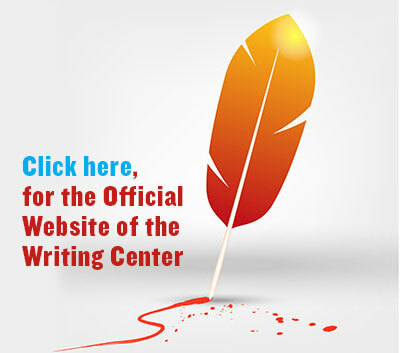 State-of-the-art computers, grammar/writing software and a small specialized library of books on writing are available. Students may be referred to the Center by members of the faculty, or arrange tutoring sessions themselves. Throughout the year, the Writing Center offers numerous writing oriented workshops, some specific to writing in the individual disciplines, as well as intensive CUNY Proficiency Exam (CPE/ACT) preparation. All are conducted by faculty and staff and are open to all students.